With factory sound systems getting better and better, it isn’t always necessary to replace the system for ultra-high quality sound. There is, however, always room for improvement, so you can rock out to your favorite tunes on your daily commute or on long weekend road trips. 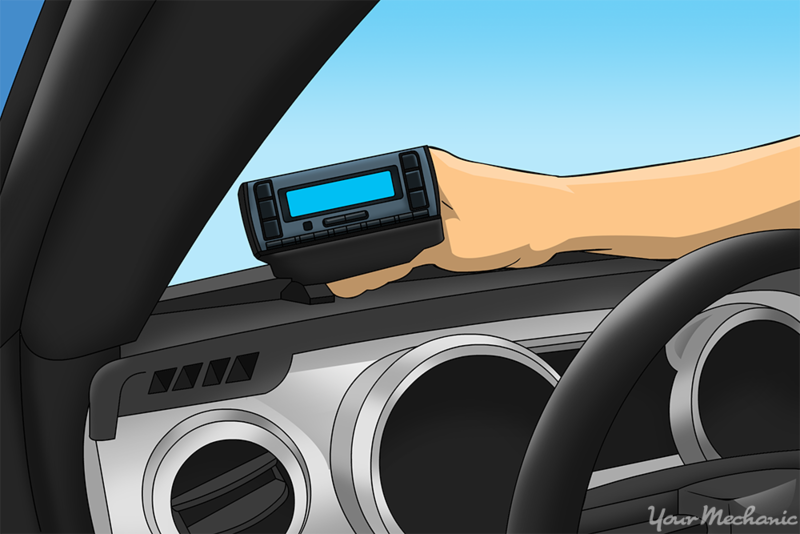 Explore some of these ways to enhance the stereo system that came in your car without swapping it out for an entirely new one. Any one of these methods can make a real difference, so try one or all of them. To truly turn up the volume pumping out of your car’s speakers, look to a standard power amplifier to do the job. These amplifiers can be bolted beneath car seats or your trunk’s floor to stay out of sight, but they won’t stay out of limelight. Factory speakers are almost always capable of handling more volume than the stock, integrated amplifiers in your system, so just this one addition can make a huge difference. Such a power amplifier will draw additional juice from the battery to make your factory system as loud as possible. Step 1: Purchase an amplifier wiring kit. Do-it-yourself attempts at adding an amplifier will require an amp wiring kit with a wattage rating that matches the watts of the amplifier. Step 2: Secure the amplifier in place. You can keep the amp from sliding around by using velcro strips or bolts. Common spots to choose include under the passenger’s seat and inside the trunk. Step 3: Attach the positive cable. Make sure the positive cable is attached to the positive clamp. 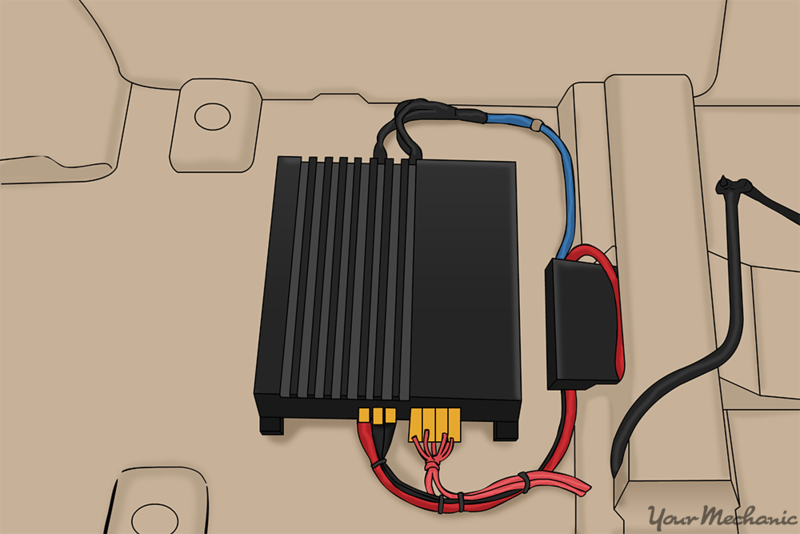 Each wiring kit is a little different, but the essence of the process is to run the positive cable from the amplifier to the positive clamp on the car’s battery beneath the hood. Step 4: Ground the amplifier system. Run the kit’s ground wire from the amplifier to a self-tapping screw in the floorboard. To achieve the biggest bass sounds from your factory system, you’ll need subwoofers to do the trick. These can be used with or without an amplifier. You’ll draw plenty of attention as you drive down the road, especially if you have other customizations. Subwoofers greatly increase the range of sounds your factory system can emit, harnessing those coveted low audio frequencies that can only be achieved through a large size speaker like this. As with any wiring job, it is advisable to enlist professional help if you are not experienced to prevent inadvertent damage to the rest of your car’s wiring. 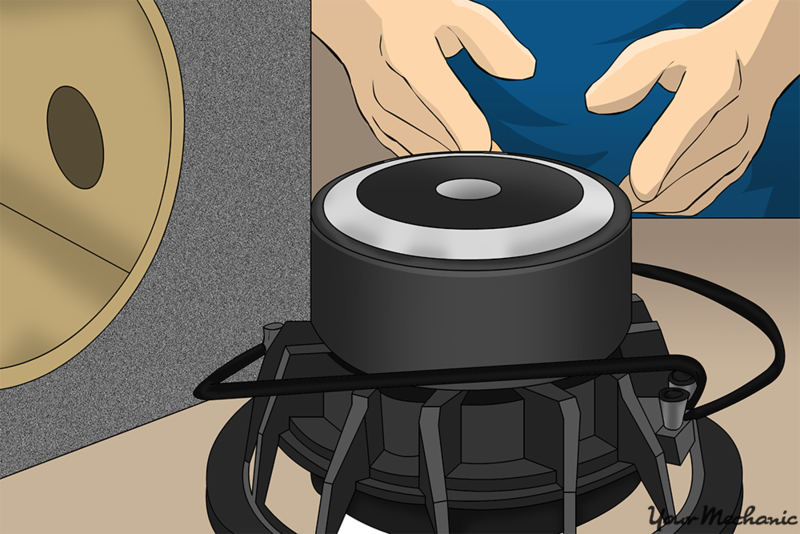 For those who opt to attempt subwoofer installation themselves, try the following steps. Step 1: Purchase a prefabricated enclosure box. Procuring the setup already in place equipped with two or more subwoofers. If the system is equipped with two or more subwoofers in place, it takes a lot of the guesswork out of installing them, and it doesn’t cost much more than buying the materials individually. Step 2: Secure the box with metal L-brackets. Make sure that the box is fully secured using the L-brackets. The size of the brackets will depend on the size of your box, but a general rule of thumb is to use brackets with a length in the back and bottom that is at least 25% of the length and depth of the enclosure box. Step 3: Run 12-gauge speaker wire from the subwoofers to the amplifier. Connect the wiring up from the amplifier and the subwoofer. The subwoofers and amplifier should have spots marked Input and Output as well as an indication of whether the spot corresponds to the Right or Left Subwoofer. Match these up, bearing in mind that the amplifier provides the output while the subwoofers receive input. 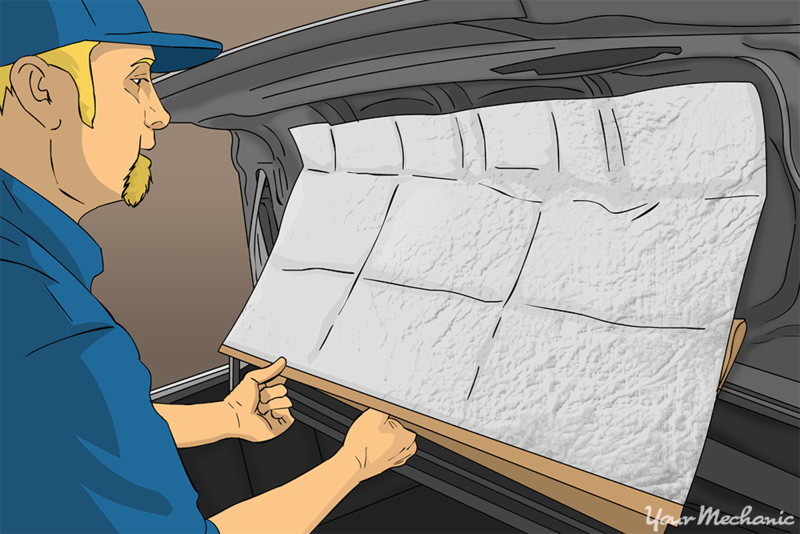 Turn your car into a virtual music studio with the installation of deadening foam. This filters out intrusive background noise from traffic, so your tunes ring loud and true. Deadening foam usually comes in rolls with an adhesive backing that sticks right to your desired surfaces. Common places to install deadening material are inside the door panels, floorboards, and inside the trunk. Some music aficionados, however, go all out in installing deadener – also lining beneath the car’s hood and on the roof from the interior. This sound-deadening foam will not only make your music seem louder and crisper, but it will also make your car sound quieter when it is running. Step 1: Measure and cut the deadening foam. To apply deadening foam sheets, first measure the regions you wish to soundproof and cut out the size needed with a pair of scissors. Step 2: Peel and press the first portion of foam into place. Peel the adhesive back away from one edge about an inch or two, and press it firmly to the surface to which you want it applied. Step 3: Pull the backing off as you press the remainder of the foam down. For best results, slowly pull the adhesive away an inch or two at a time. Smooth it into place as you work until the entire sheet has been applied. Nowadays, there is no shortage of digital gadgetry to augment your factory sound system’s range of functions. Such non-invasive add-ons are portable and easy to use while greatly increasing your tune-playing ability. With such gadgets, you aren’t limited to AM/FM radio and CDs; you gain access to satellite radio stations and playlists you have stored on your smartphone or iPod. Step 1: Consider different options. Investigate the different gadgets that will enhance your sound. 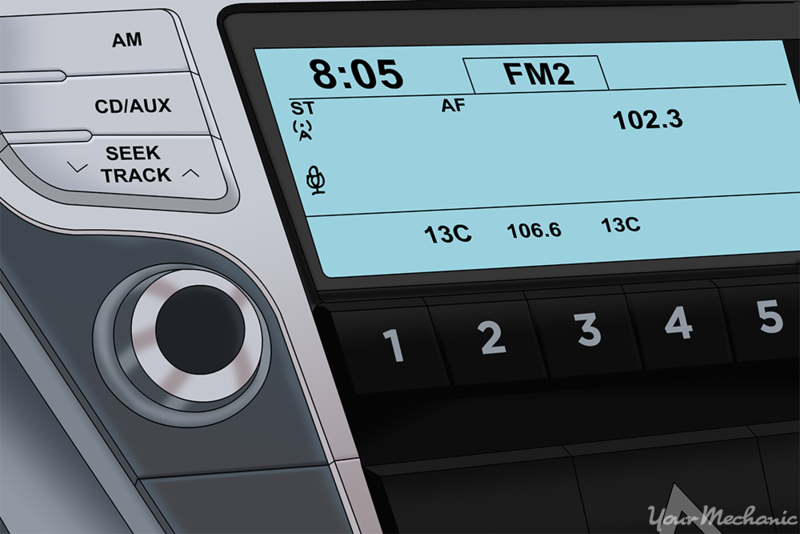 Some of these include portable satellite radios, which often attach to your dash and sync with Bluetooth stereos, coming with access to plenty of stations and the ability to pause and rewind. Plug-and-play bluetooth kits insert directly into your stereo’s MP3/AUX input slot, so you can listen to songs from your smartphone through the stereo, while iPod adapters work in the same manner to hear iPod playlists. With even just one of these augmentations to your car’s factory sound system, you can make a huge difference in the quality of your music’s sound or the range of music you can play. All of this comes without the hassle or expense of replacing the stereo system that came with your car. If you notice that your battery seems to be acting up after a new addition, be sure to have one of our mobile mechanics perform an inspection. Q: How do I put my iPod in shuffle mode?